As well as being the obvious choice for appliance servicing and repairs in Geelong and district, Julian’s Appliance Centre is also the one-stop shop for Kleenmaid appliance sales in Geelong. Our team of licensed professionals are Kleenmaid service agents, meaning we don’t just sell the product, we’re also specialists in the servicing, installation and repair of Kleenmaid products. Kleenmaid have been making high quality household appliances servicing Australia since 1984. With all of their products inspired by the highest quality European designs, and supreme performance—Kleenmaid have made a name for themselves in Australia as a family favourite. The Kleenmaid products we can supply include ovens, dishwashers, washing machines, range hoods, dryers and cooktops. Every product includes a three-year warranty, which means you have the expertise of our team at your fingertips, ensuring maximum satisfaction with your Kleenmaid products. Our products are ideal for builders looking to provide their clients with elite household appliances for their new homes. We also have a special Builder’s pack which can be enquired about in store. Whether you’re a builder, or simply looking for high-quality Kleenmaid appliances in Geelong and the surrounding area, contact Julian’s Appliance Centre–or visit our store today. For more information on Kleenmaid appliances see – Kleenmaid. 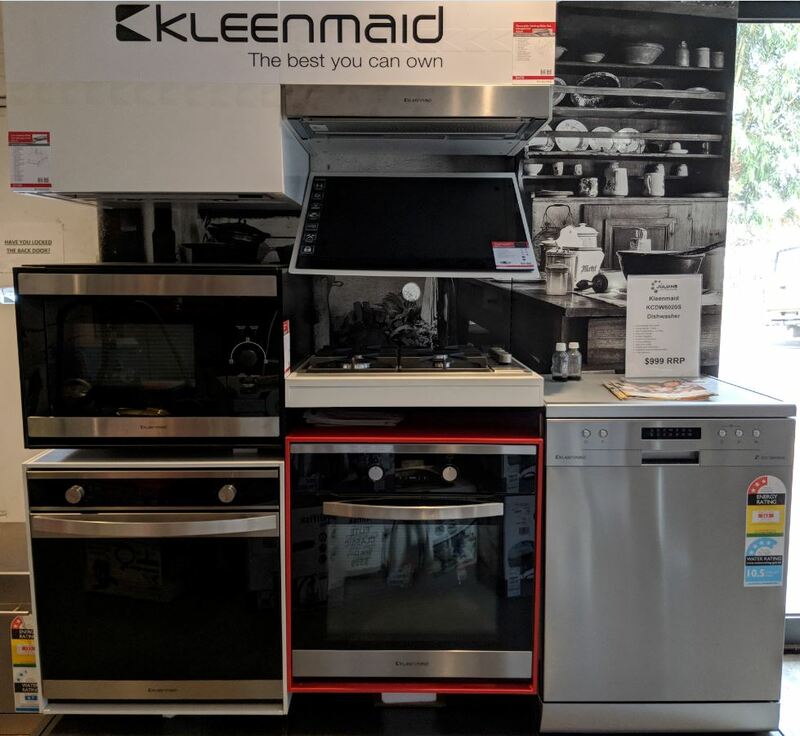 Check out our in-store Kleenmaid appliances display, and remember to choose Julian’s Appliance Centre for all appliance work and servicing, from small appliance repairs in Geelong households, to installations of commercial equipment in busy professional businesses.